Hi! 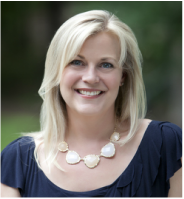 I'm Kelley Keats, and I'm a Realtor with Urban Durham Realty in the Triangle area of NC. I'm also a wife, a mom, a cancer survivor, and in a former life I was a professional actor/singer/dancer. This is where I share a few of my favorite things to do, visit, and explore - with some real estate info peppered throughout. Hope you enjoy! restaurants, and being at the beach. I look forward to working with you!